Ergonomic, magnetized and suitable for all types of cabinets, PEL103 loggers provide all the power and energy measurements simultaneously. This Promo kit comes with a FREE Lenovo TAB7 Android Tablet and Chauvin Arnoux Dataview Software. Optimize your energy efficiency with PEL103 Power and Energy Logger. Offering much more than simple energy metering, our PEL103 electrical measuring instrument records electrical consumption while measuring and analysing the power supplied. The recordings made with PEL103 electrical measuring instrument are time and date-stamped. In this way, the gains achieved can be measured very simply by comparing the recordings before and after modifications to an installation. The analysis of the recordings made with the PEL103 before the modifications provides the period of reference. The various operations for maintenance, improvement of the electrical network and equipment, etc., can then be carried out. A correctly-positioned PEL103 will quickly help to spotlight the points where work is required, without wasting any time. A follow-up period will then enable you to determine whether the solutions implemented are sufficient and, in particular, to measure precisely the savings achieved. 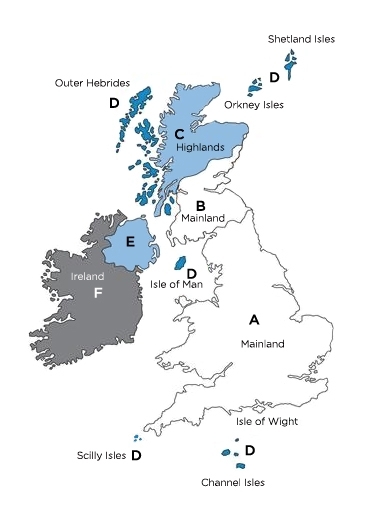 The PEL103 will then provide the data for comparison with the recordings from the period of reference. The DataView®analysis software can then be used to produce customized reports. 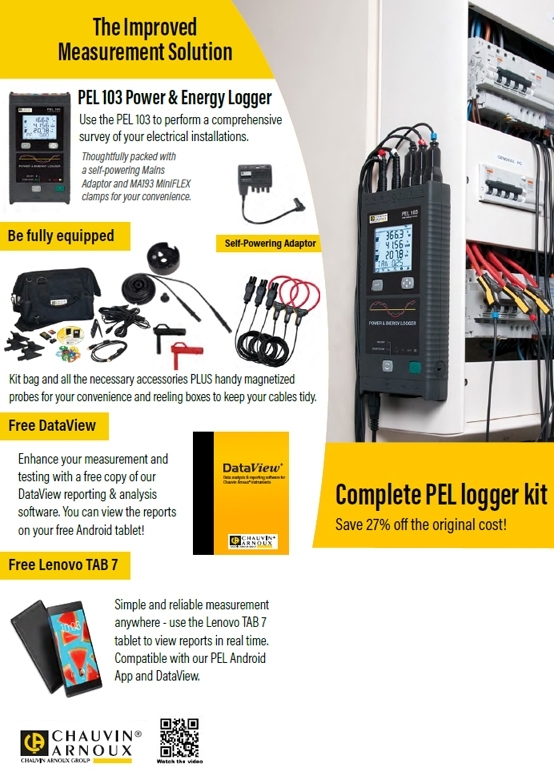 When installed for long periods as fixed instruments in cabinets, PEL103 loggers constantly monitor all the active, apparent and reactive power values on the electrical network. Any threshold overruns can then be detected instantly. With the DataView® software for automatic generation and printing of reports, balance sheets, graphs and summaries, users can act quickly on the cause of this overconsumption, which will lead to higher bills. Indeed, any overruns of the subscribed power will lead to higher bills. Measurement of power indices, PF, THD, hour meter, min/max, etc. For a limited time only, the Chauvin Arnoux PEL103 comes with free accessories. Lenovo TAB7 Android Tablet - Simple and reliable measurements anywhere - use the Lenovo TAB 7 tablet to view reports in real time. Compatible with the PEL Android App and Chauvin Arnoux DataView Software. Chauvin Arnoux Dataview Software - Enhance your measurements and testing with a FREE copy of the Chauvin Arnoux Dataview reporting and analysis software (normally £495). Install and use on your free Android tablet! The DataView® software is an essential tool for configuring and performing measurements, viewing data in real time, recovering recorded data and creating standard or customized measurement reports. The simple-to-use DataView® software automatically recognizes the instrument connected to the PC and gives the user direct access to the data recorded in the instrument, its configuration and the real-time data. DATAView® automatically generates measurement reports or creates new customized reports on request. This tool also offers a large number of additional functions for greater user comfort or for more detailed analysis: a zoom on the graphs to analyse certain parts more closely, display of various recorded parameters on request, export of stored data into Excel, linking and integration of objects (OLE), etc. The instruments are connected to the PC via USB, RS232 or Bluetooth, depending on the model. Designed for use in the field, the PEL 105 Power and Energy Logger is rated IP67, waterproof and rugged, as well as withstanding high temperatures and UV light. The Fluke 345 clamp on meter is a combination power analyzer, power quality logger, and clamp meter, and is ideal for monitoring electronic loads.